Day 2: Huanucopampa – Carhuacocha lake 4,200m. In the morning after our breakfast in the camp we will continue hiking up to Carhuacocha camp from here we will have spectacular views of Yarupaja, Jirishanca, siula grande, overnight at 4,200m. 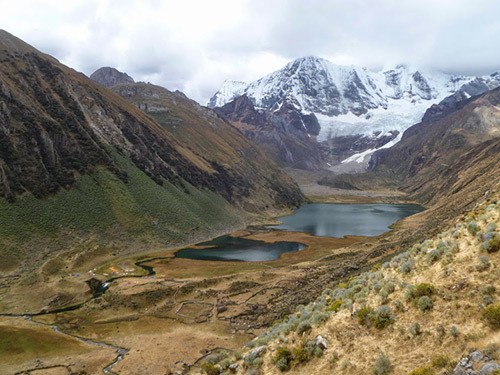 Day 3: Carhuacocha – Carhuac pass 4,600m. – Mitucocha 4,150m. After the breakfast we will start hiking up for about 3 hours to Carhuac pass at 4,600m. From here we can see the next mountains Carnicero, Siula, Yarupaja Grande ,Yarupaja chico after the take pictures we will going down to mitucocha camp overnight . 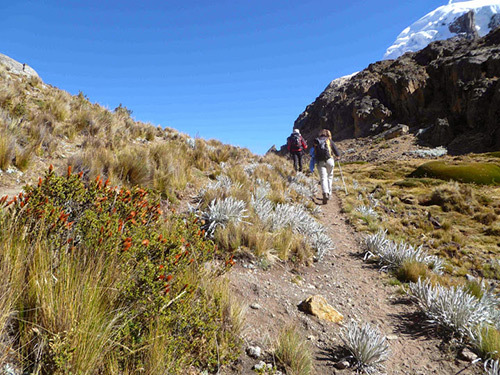 Day 4: Mitucocha – Cacananpunta pass 4,750m. – Cuartelhuain 4,100m. Day 5: Cuartelhuain - Sambunya pass 4,700m. – Jahuacocha 4,100m. 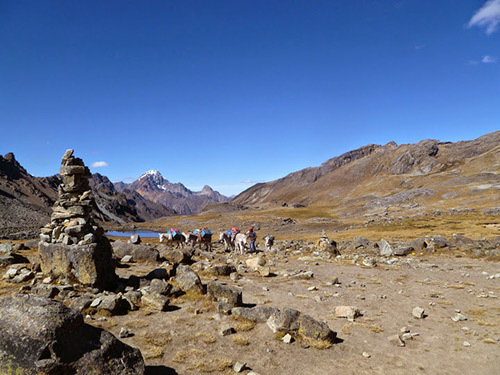 Day 6: Jahuacocha – Pampa Llamac pass 4,300m. 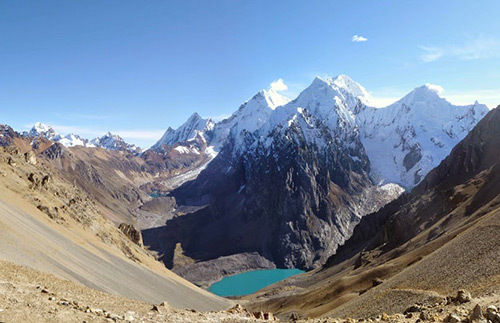 – Llamac 3,300m. In the morning after the breakfast in the camp we go down about for 30 minutes after continue climb up to Pampa llamac at 4,300m. the last views cordillera huayhuash, we go down about for 2 hour s to LLamac village .